WINE has been with us for thousands of years, and, fortunately, shows no signs of going away soon. But the way we drink and see wine has changed quite dramatically. A few hundred years ago, it wasn’t unusual for an English breakfast to consist of a lot of roast meat, washed down with a flagon of beer or a bottle or two of wine, imported from France or Portugal, depending on political relations (i.e., who we weren’t killing at the time) and the fashion at court. Yes, it does mean we were probably alcoholics, but it was also because at that time, drinking the water could make you very ill indeed, or kill you. Dead. 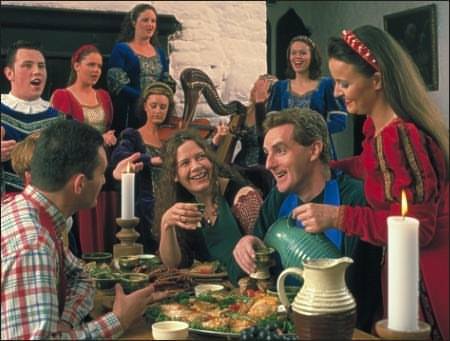 Breakfast time in Medieval Britain! Italian wine had a terrible reputation in England in the seventies because the growers , quite rightly, thought we would buy just about anything they produced. Accordingly, they planted vines close together, made wine from every bunch available, and thanked God for their climate and soil. But, as package holidays introduced the Brits to all the GOOD wines available in Europe, it created a market for these wines inside the UK. Cheap, mass-produced plonk was no longer good enough, the bottom fell out of the market and the European Wine Lake was born! 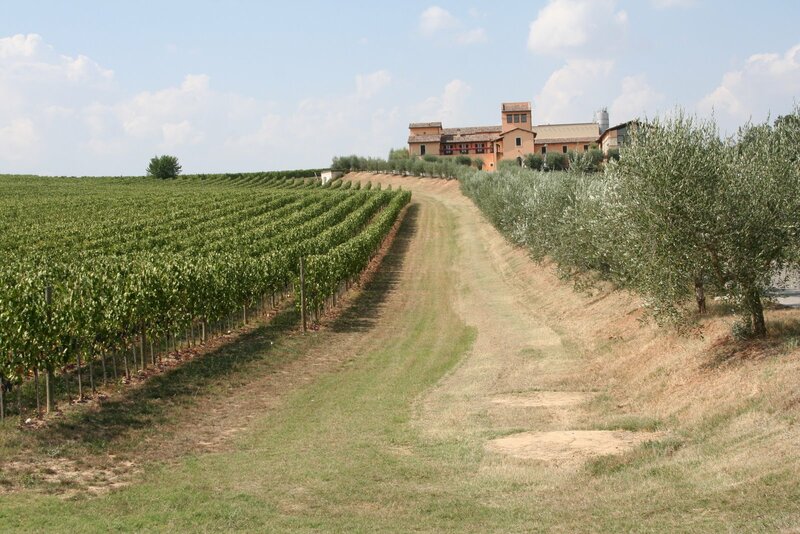 It took a lot of persuading for the wine-growers in Italy, especially the south, to accept that pulling up half their vines would actually result in a net profit. 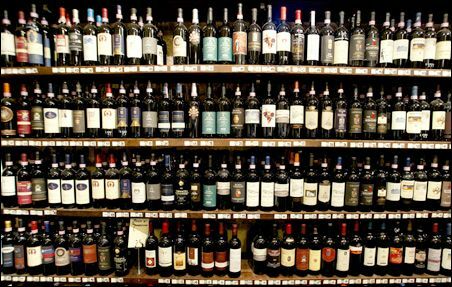 It has finally become common knowledge, and the world is now starting to appreciate the huge variety of good quality, local Italian wines that are now readily available in supermarkets and independent wine-sellers in the UK. A raft of legislation and more competition than ever before have concentrated the Italian wine-makers’ minds like never before and the results are joyous. Many of the cantinas in the Sagrantino di Montefalco DOCG area of Umbria used to sell all their grapes on to bigger producers or to a co-operative. Marco Caprai changed all that. New wine-making techniques, barrel-ageing to control otherwise overpowering tannins, and savvy world-wide marketing of this difficult-to-tame grape bucked the trend and so a lot of the Sagrantino producers have relatively new cantinas, even though they’ve been growing grapes for generations, and are finally bottling and marketing their own wine. A powerful respect for the land and local traditions, coupled with state-of-the-art equipment and techniques now combine to produce a range of wines that I think can compete with any wine in the world. The land here is great for vines- high enough to be cooler at night than at day; hot summers and frigid winters; pebbly soil on slopes which provide good drainage. These factors play a huge role in balancing a wine’s acidity, sweetness, fruitiness and tannins. In wine-producing countries, wine consumption has dropped considerably in the last few decades, as clean drinking water, working, driving and economical considerations all combine to change drinking habits. Yet, for the reasons stated above, (cheap travel etc) wine consumption in the English-speaking world has risen by 500% in the last 40 years! Three cheers for the Brits, Yanks and Aussies! « Valle di Assisi – A dinner in elegant surroundings. Viva il vino! American tastes are also changing and more Italian wines are being consumed on the other side of the pond. 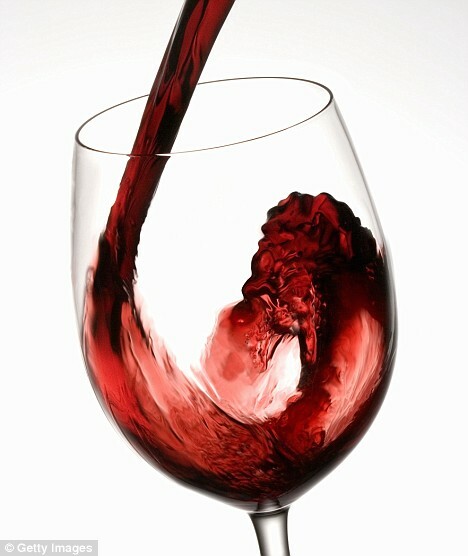 I like nice hearty red wines…can you suggest a local Umbrian wine that might be available here in California? A handful of Cantine export their wines, and I think that a couple of labels to look out for would be Tabarrini and Perticaia. Arnaldo Caprai, of course, but if you want something less commercial, I’d seek other labels. Mind you, you can’t beat coming to Umbria and finding your favourite here! !